GQ, Marc Jacobs, and Warby Parker, three Instagram power-users, are amongst those in line to become some of the first adopters of Scan-to-gram, the latest creation of San Francisco-based startup Scan, Inc. who earlier this year announced their seed round of $1.7 million. 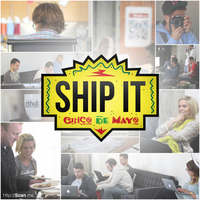 Scan-to-gram came about as result of company hackathon, SHIP IT - Cinco de Mayo. 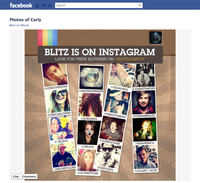 Garrett Gee, co-founder, explains “Scan-to-gram is a fun and coincidentally quirky way for businesses, organizations, and other groups to build their Instagram follow-base. With the simple scan of a QR code, users can instantly follow you and your team!" "Jiovan Melendez, Head of Business Development commented, "We hand picked brands like GQ, Warby Parker, VEVO, Hello Giggles, and Marc Jacobs to be a part of Scan-to-gram's initial launch. Not only are they amongst the most popular users on Instagram, but they represent design and style from smart and innovative people, something we strive for at Scan."